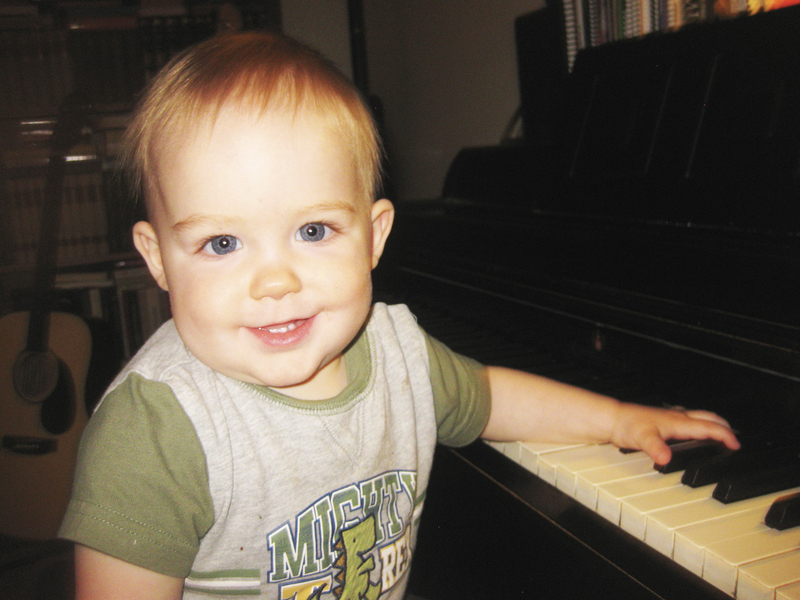 Parenting at the piano can begin at any age. Typically I like to start piano students around 7 – 8 unless they have someone in the home who plays the piano and can work with them, which is what I’d like to discuss. Playing the piano should be a joint effort that is shared between the parents and the child. As parents, you have an imperative role in the musical development of your children. You can and must be a positive influence on them. Continually encourage and inspire your children to do their best and to be their best. Listen to them play their instruments. Get involved! Find out what music they like and want to play. Do they create and compose music of their own? Do they play by ear? Why do you want them to play an instrument? Why do they want to play an instrument? Tell your children how wonderful they are! Make music with your children! I’ve been speaking with the parents of some of my piano students the past few days about motivating their own children to play the piano (or any other musical instrument for that matter). The piano students who progress the quickest are those who, in the beginning, have someone prodding them along other than their music teacher. The best person to motivate and inspire younger students should be their parents. Notice I said “younger” students, as in little children and pre-teens. Teenagers are a little different. Most of them think their parents don’t know anything. I think we all have felt that way and thought that at one time or another in our lives. To quote Mark Twain, “When I was fourteen my father didn’t know a thing. But, when I was 21, I was amazed at how much he had learned in seven short years!” Many teenagers feel this way, but even so, parents have a very important and powerful role when it comes to encouraging and teaching music to their children. Some parents mistakenly believe they can dump their child off somewhere else and let someone else resume the responsibility of parenting. As music teachers, we only have the student in our studios or homes for 30 minutes to an hour each week at most. Once they leave the lesson, they are left to themselves and more important – their parents. Now, if you are an adult, hopefully you don’t need someone watching over you and prodding you along but, as is the case with younger students and teenagers, even adults need someone helping them along at home. Many parents complain that their children aren’t learning very much in school and say there must be something wrong with the teacher, the school, or the school system (heaven forbid anything could be wrong with their child or with their parenting abilities). The same holds true with music lessons. Parents may complain about their child’s progress and compare their own child with another child their age. In response to such a question, I have asked, “How much time do they spend per day practicing their instrument versus watching TV or playing video games?” I often then ask, “How much time have you personally spent sitting down with them at the piano and going over with them everything they have been assigned to do?” Parents often tell me they don’t know anything about music or playing the piano. I tell them it’s never too late to start. Children do what they see their parents do. For better or for worse, they are natural mimics and copy mannerisms, words, attitudes, behaviors, and habits. It doesn’t matter whether a child is home schooled or goes to a public school, the involvement of the parent is paramount. I encourage parents to take piano lessons with their piano students. Their students will be more interested in the instrument because they will see the determination and commitment of their parents to music for their own enjoyment and growth. The child’s attitude will often change when the parents’ attitude changes. If a parent can make music a priority in their own lives, I have found that their children will see the importance of music and want to have more musical experiences with their parents. It is a wonderful experience for both the parents and the children. I highly recommend it. It is marvelous for the parents and their children to sit and learn how to play together. This is quality time and can and should be quantity time as well if done regularly – daily if possible. It is invaluable for the child to see their parents learning a new skill and needing to practice and progress as well. Too often the child hears their parent telling them to practice the piano while the parent does something that looks, appears, and seems much more fun or interesting. Both parents and children are all “in it together”. One is not forcing the other to play and punishing them when they do not, which never works, by the way, but rather, they are mutually working to make music. As they do so, they in turn, make memories, bond, and grow closer because they are sharing something wonderful with each other. They are learning together, understanding the difficulties the other is facing when practicing their own music, and having fun making musical memories.